One day, because of the summer heat (still summer for meee! 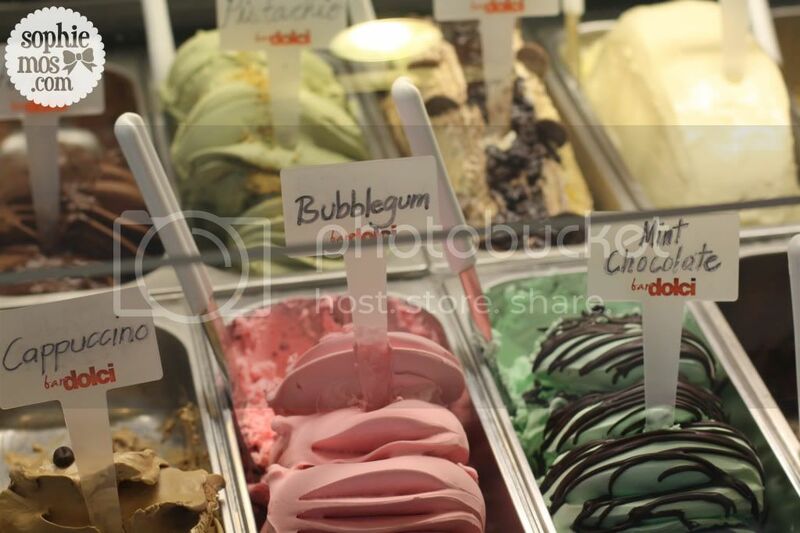 ), I suddenly craved for gelato. 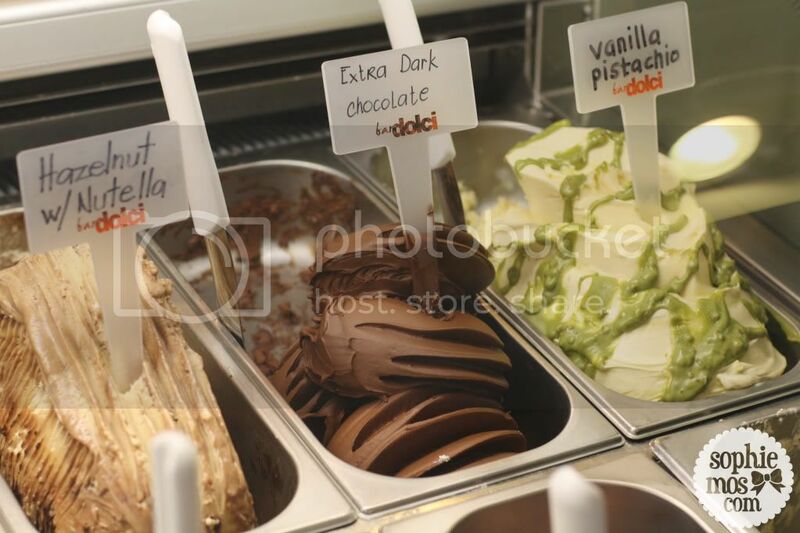 This is one of the rarest times I crave for gelato. I actually never do. Lol. It was so weird. 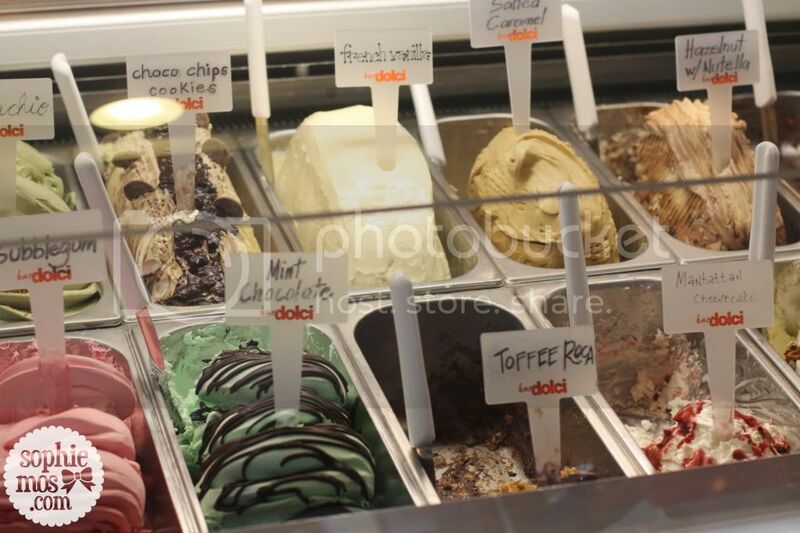 So I researched and found out that the best gelato place in Manila is Bar Dolci at Burgos Circle. So on the first of my monthly dates with college girl, Abby, we hung there! I was disappointed when I came and saw the flavors. 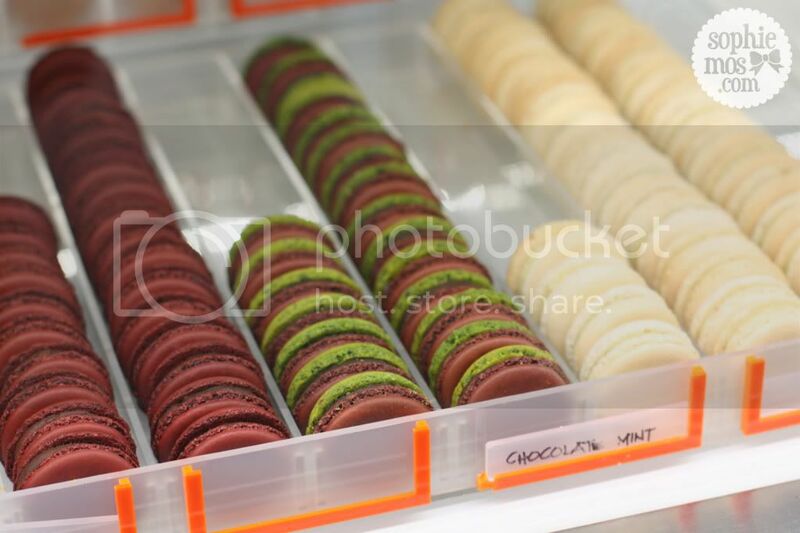 I really wanted to try their White Chocolate Wasabi, because I looove White Chocolate and it sounded so unique (never heard of wasabi gelato!). 🙁 After taste-testing almost all the flavors, I ended up choosing two flavors in a medium sized cup for P160. 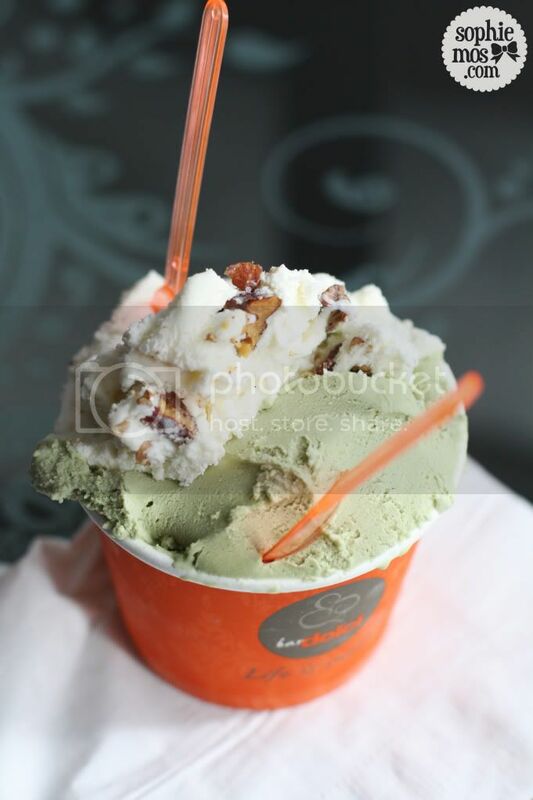 I got Pistachio & Browned Butter Pecan. It was good. Not too sweet. I honestly kind of expected more though because of the reviews I read. 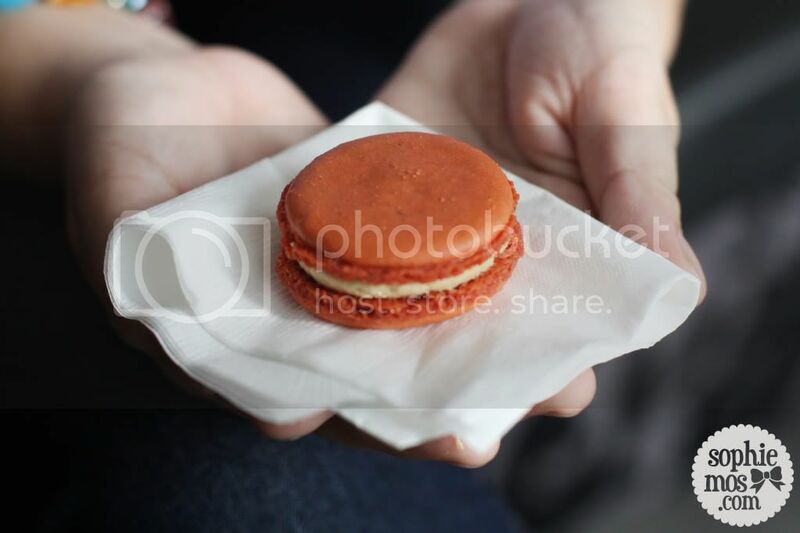 Abby ordered their macarons that cost P50 each. She got their Ferrero & Salted Caramel flavors. 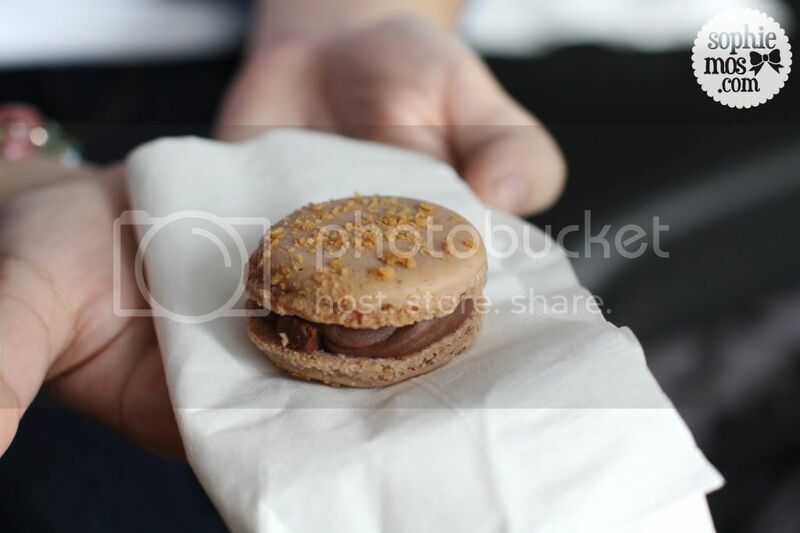 She liked the Salted Caramel better because she found the Ferrero a bit too chocolate-y.